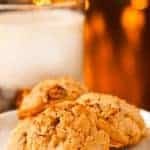 Made with low-fat buttermilk and flavored with dried cranberries and fresh orange zest, these lightly sweetened homemade scones are quick and easy to make and delicious with a piping hot cup of coffee. 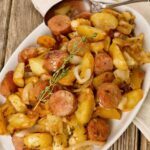 They make a tasty, light breakfast or a great addition to a brunch buffet and the recipe is easy to adapt using different fruits and spices (see our notes below). 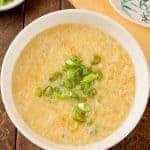 In separate bowl, combine the egg, buttermilk, milk, orange zest and vanilla. Pour the wet ingredients into the flour mixture and add the cranberries. Combine to form a soft dough. Turn the dough onto the prepared baking sheet and, using wet hands (the dough will be sticky), pat into an 8-inch round. 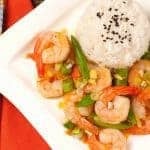 Cover and refrigerate for 10 minutes. Dip a knife in water and cut the dough into 6 wedges and separate them slightly on the baking sheet. If your dried cranberries are very fresh they may have a tendency to stick together when chopped. 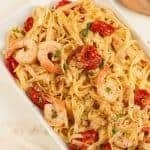 If so, transfer 1 tablespoon of the flour to a plastic bag, add the fruit and shake to coat. This will help to distribute the fruit more evenly through the dough. 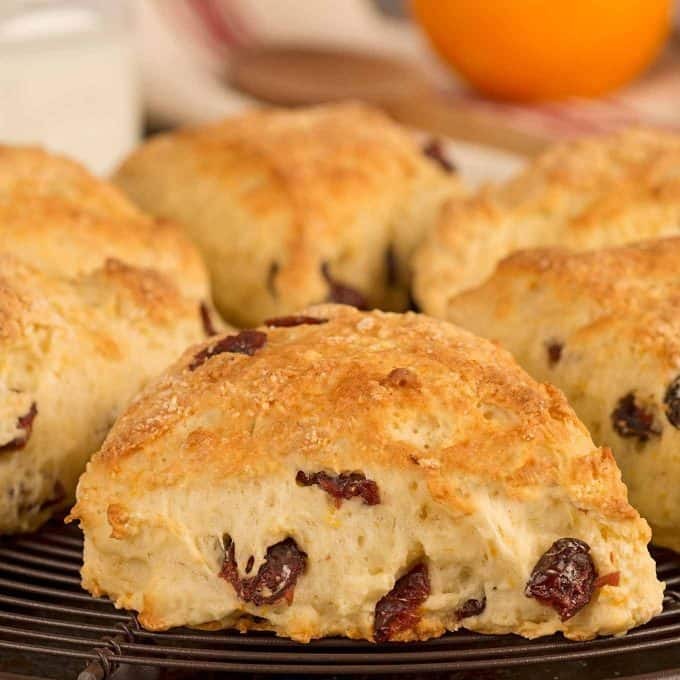 Cinnamon-Raisin Scones: Replace the dried cranberries with 1/2 cup raisins, add 1 teaspoon cinnamon and omit the orange zest. 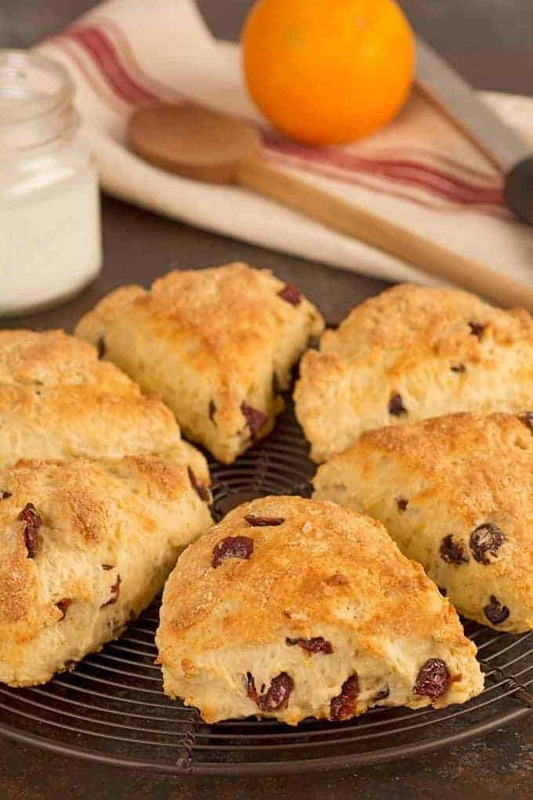 Apricot-Lemon Scones: Replace the dried cranberries with dried apricots and replace the orange zest with 1-1/2 teaspoons of lemon zest. 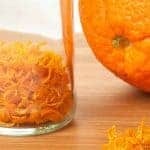 Depending on how much lemon flavor you like, you could also use 1/4 teaspoon of lemon extract in place of the vanilla. 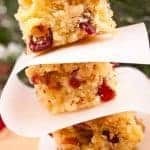 Cherry-Almond Scones: Replace the dried cranberries with dried cherries, omit the orange zest and replace the vanilla extract with 1/4 teaspoon almond extract. 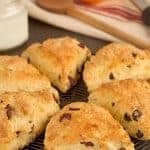 Before baking, sprinkle the top of each scone with 2 tablespoons sliced almonds that have been lightly crushed and mixed with 1 teaspoon granulated sugar.